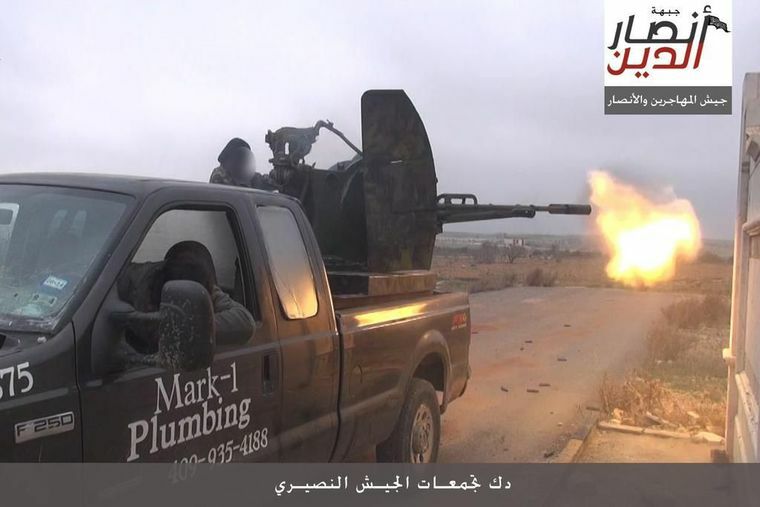 A Texas plumber is receiving threatening calls after his old pickup truck appeared in a jihadist video in Syria. The Ansar Al-Deen terrorist group used his truck in a propaganda video in Syria. The Ansar Al-Deen Front, an independent Islamist group operating near Aleppo, Syria, posted video of the truck used in fighting. Oberholtzer told the paper that he traded in the truck three years ago. The Houston dealership he turned it over to, AutoNation, told KHOU.com that the truck was auctioned and was likely traded from owner to owner over the course of three years.